When Tottenham lost Harry Kane and Dele Alli to long term injury, pundits and fans everywhere wrote them off. But then the 'Son' came out. On Tuesday night, Son Heung-min, scored his 16th goal of the season as Tottenham beat German leaders Borussia Dortmund 3-0 in the last-16 of the Champions League. The North London side are also only six points off the top of the Premier League, despite missing two of their most important players. After a number of match winning performances, Son is now tipped as one of the favourites for the Premier League player of the season award. There have been successful Asian footballers in European football before but no one has ever been at the same level as Son. Park Ji-sung was very popular at Manchester United but he never got close to winning the player of the year award as Son might just do. Son Heung-min has consistently scored when it matters for Spurs. He scored 18 goals last season and 21 goals the season before. In 2018, he was voted by Forbes as the 13th most important person in South Korea. 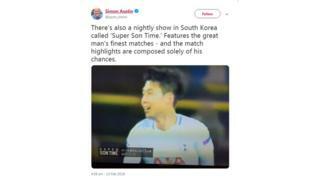 He's also got his own nightly show in South Korea called "Super Son Time." Son isn't a flashy footballer. He never makes anything about him. 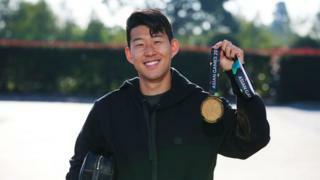 After winning gold in the Asian Games, he said: "Of course I am in a better position now because I have won the Asian Games, but if not then there was the Korean army team for me." In his post match interview after helping Tottenham beat Dortmund 3-0, Son refused to take the credit for the victory and instead praised defender, Jan Vertonghen, saying that the Belgium defender was so good that he could play in any position on the pitch: "for me he could be a striker". Spurs don't lose when Son scores. They haven't lost in 13 games when Son has scored. Manager, Mauricio Pochettino joked after the game against Dortmund: "Next time Son scores I will head to the dressing room." 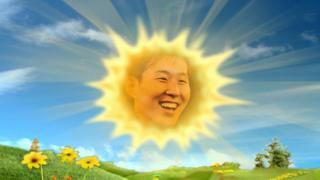 Son has scored 16 goals this season already. He's averaging a goal every other game, and as you've probably already read, he's got 11 goals in his last 12 games. Most of the time Son doesn't even play as a striker. Normally, he's a left winger, behind Harry Kane. And, he's missed lots of the season playing for South Korea. With goal scoring hero Kane out injured, Son has had to step up and help Spurs keep in the title race. Currently, they're only six points off leaders Manchester City. All citizens of South Korea have to do two years in the army when they are young , even if you're famous. There's only a few ways to get out of it. One of the ways to avoid this is by winning a gold medal at the 2018 Asian Games. 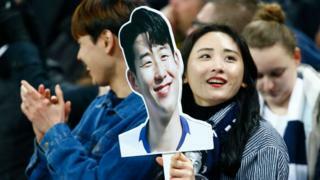 That was the task facing Son - either win the 2018 Asian Games or face leaving Spurs for a few years to complete his time in the army. Did he pull it off? Of course he did. South Korea beat Japan 2-1 in the final! He's well known for his smile, so much so that football commentator Thierry Henry recently asked him in an interview "Why are you always smiling?" Son plays every game with a massive smile on his face, even when things are going against him. He's loved by his teammates and the Spurs fans absolutely love him - they have loads of chants about him! Son is the most expensive Asian footballer of all time. He signed for Tottenham Hotspur from Bayer Leverkusen for a fee of £22 million in 2015. He's also the highest scoring Asian footballer in the Premier League with 63 goals in four seasons with the club. Son's dad, Son Woong-jung, was also a professional footballer who runs a soccer school back in South Korea. He encouraged Son to practice his football skills for six hours every single day. When Son was scouted by German side, Hamburg, his father moved to Germany with him and stayed in a hotel opposite the training ground so he could offer help and support. Highest paid British footballer: Who is Aaron Ramsey?